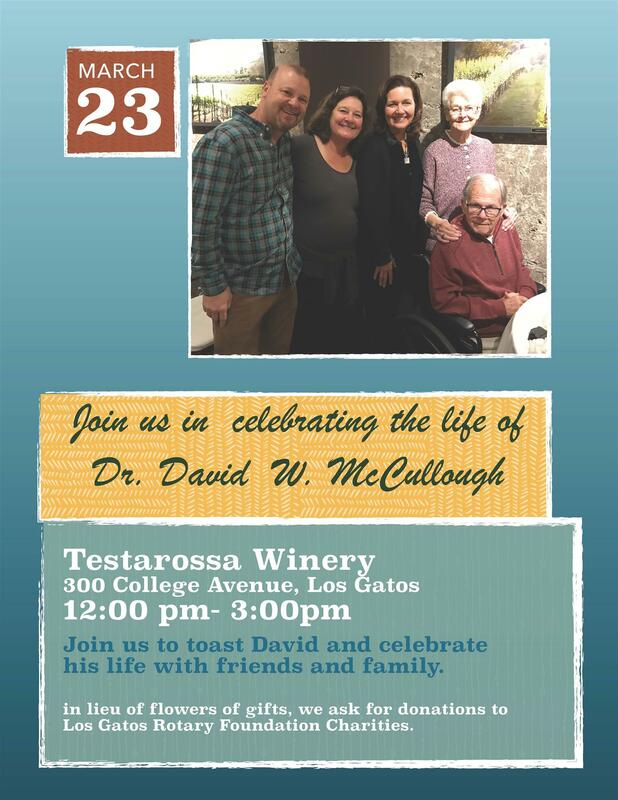 Patti V. - Wecare announcement: Memorial services for Dave M. will be held from noon – 3PM at Testarossa Winery on 23 March. 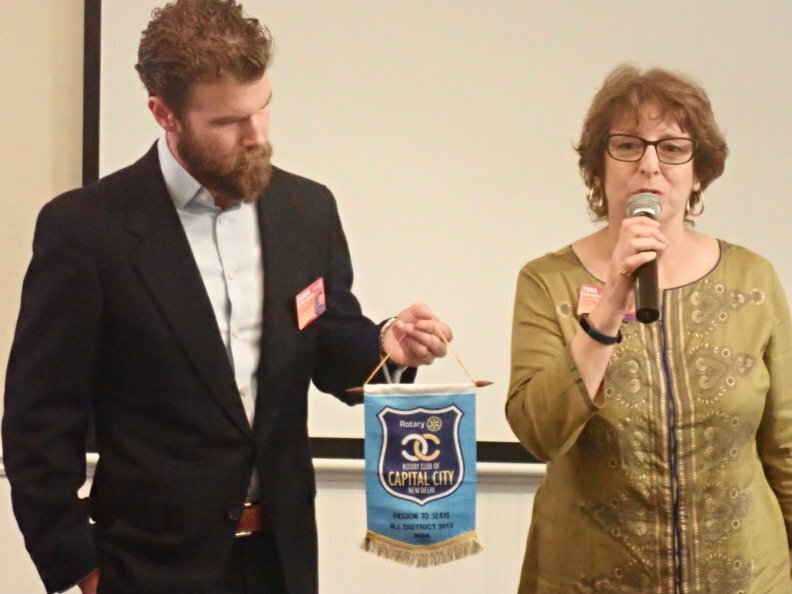 In lieu of flowers, the family asks for donations to the Los Gatos Rotary Charities fund. His obituary can be ready online here. Patti V. – On 3 April, the World Service Committee will be reviewing the 11 applications for global grants the committee has received. Patti read the roster of applications that the committee has received and processed. Red badge member Doug B. 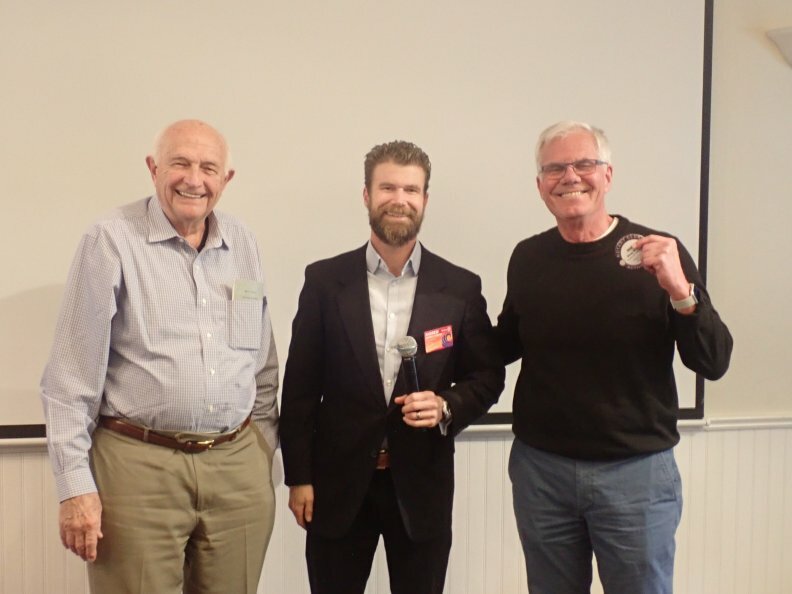 Received his Blue Badge, presented by Andrew H. and Doug’s sponsor, Ed S.
Marlon S. gave all the background and goals of ELC - Enterprise Leadership Conference. ELC is a joint effort of Los Gatos Rotary, Los Gatos morning Rotary and San Jose Rotary. The ELC program selects 96 high school juniors from 26 schools in our region, half girls and half boys. Twelve teams of eight are formed, and they learn about business planning, and actually put together a business plan for a product or service idea that they create. All participants get a chance to present their ideas, and three teams are named as winners, and actually get to pitch their product ideas to the sponsoring clubs. Thanks to all Rotarians supporting the ELC! Tina O-H - Just returned from India, Bhutan and London. Fantastic adventure. She has a flag from the Central Delhi club, and met with the assistant governor there. In Bhutan, Tina had a chance to meet the president of the one (!) club in Bhutan, and also exchanged flags there. Andrew H. proudly told all that Tina O-H was named the recipient of the Sydney R. Mitchell award as the outstanding Rotarian in our district. All are invited to attend the district meeting on the U.S.S. Hornet where this will be announced Saturday, May 18. The club reviewed a brief video on polio produced by the Rotary of Great Britain and Ireland. The video discussed the impact of this disease on individuals, and how much Rotary has helped with the problem. Dan S. went on to discuss that Polio is a personal issue for his family, which has been touched by the disease. Rotary’s effort to combat polio has reduced the number of cases per year to just tens, but it still takes money, and broad immunization programs to completely eliminate the disease. We are calling on all club members to donate to this special cause, and note that all donations will receive dollar-for-dollar matching funds from the Bill and Melinda Gates foundation. Avis and Dan are committing $1K each, and that would be welcome from any member. But, the ask for club members is $100, with any amount welcome. 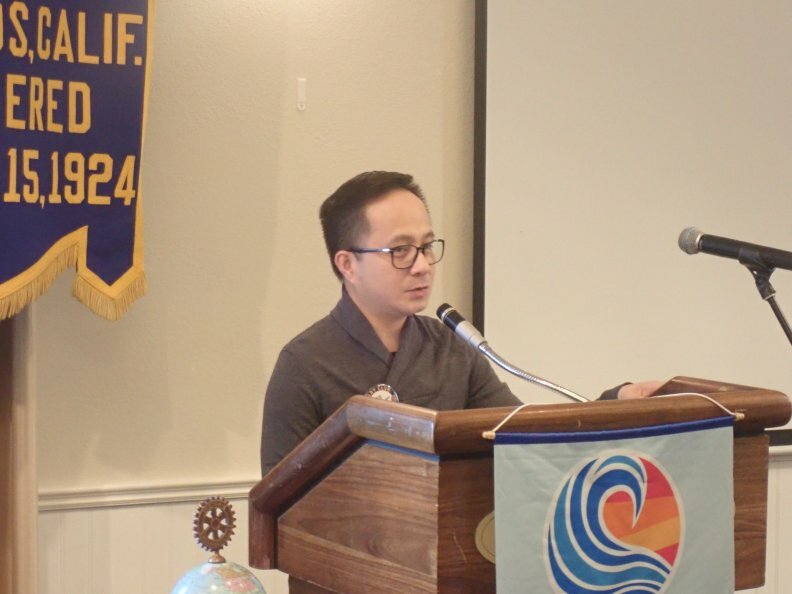 Andrew H. invited all members interested to the monthly board meeting this Thursday at the Saratoga room in the LG Lodge at 4:30PM. Mathew B. introduced today’s program: Sweet sounds of Fisher Jazz band! Jennie A. is the teacher and band leader. The Fisher Jazz Band is a large group (30 ish) that all are also in the regular Fisher band; they use the flex time program at Fisher to be able to practice jazz tunes four days a week. Musical styles ranged from classic swing to funk/jazz. A five person ensemble from the group shared the results of a “Be the Change” project – their performance of It’s a Wonderful World. They aim to perform this in Los Gatos on 7 April, and donate any money collected to the Fisher music program. Thanks to the budding musicians, many of whom plan two or more instruments. Andrew H. thanked all visitors, and adjourned the meeting.